“Heritage” is a word that’s tossed around a lot these days, especially during the holidays — heritage recipes, heritage x-mas cards, heritage turkeys…etc. But one piece of heritage I’m comfortable with, whether during the holidays or not, is Dry Creek Vineyard’s Heritage Vines Zinfandel. If America can boast of a “heritage” grape, then surely it is Zinfandel. 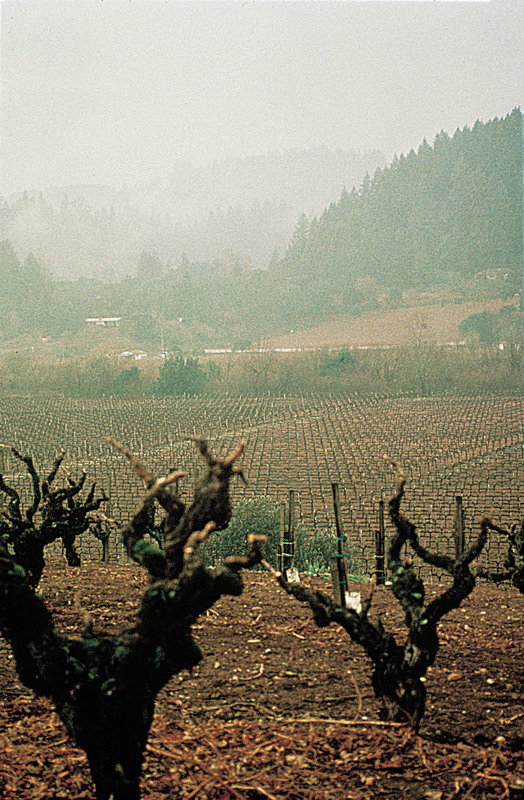 In fact, before 1990, many believed it to be America’s indigenous fine wine grape, given its long history of cultivation in California, and the unique name that appears virtually nowhere else. But thanks to DNA fingerprinting and dogged field research, we’ve since learned that “Zin” belongs to the European vinifera species, originating in Croatia and identical both to Primitivo (an earlier ripening clone based primarily in southern Italy) and the Croatian grape Crljenak Kastelanski. Apparently, the obscure Crljenak traveled to Boston via Vienna in the 1830s (Croatia was then part of the Austrian Empire), where it was tagged as “Zinfandel”. It subsequently hitched a ride to California during the Gold Rush, where it immediately thrived in the state’s climate and soils (not unlike Croatia’s). A copious producer that can be bush-trained for low maintenance (no wires or posts necessary), Zin was planted widely, becoming the backbone of California’s first wine boom in the late 19th century, up until Prohibition. Prohibition was an unmitigated disaster for the California wine industry — and Zinfandel — but, fortunately, Zin’s gnarled, bush-trained vines can be long-lived; many of the abandoned vineyards were, in fact, left alone, and survive today. Ironically, it was the White Zinfandel craze in the 1980s and 1990s that brought many of these old vineyards back into production, preventing them from being pulled out in favor of, say, the sexier Cabernet Sauvignon. Vintners then started rediscovering Zin’s capacity for spicy, full-bodied reds, especially from the older vines, which give much lower yields, more concentrated fruit and complex flavors and more even ripening than younger Zin plants. This success and recognition consequently spurred a number of “heritage vineyard” projects at U.C. Davis and via ZAP (Zinfandel Advocates & Producers), including one by the innovative, family-owned Dry Creek Vineyard (DCV). Basically, these old-new vineyards consist of budwood from pre-Prohibition vines grafted onto new rootstock, aiming to preserve the DNA — and old vine characteristics — of the gnarly relics. DCV planted its heritage vineyard in the early 1990s, and its first release in 1997 went under the Heritage Clone Zinfandel nameplate. Fourteen vintages later, DCV’s Heritage Vines Zin program is still going strong, and something I always look forward to based on its consistency, balance and old-vine qualities at a very fair price ($19.00 for the 2011). Despite many (unusual) weather-related challenges in Sonoma County in 2011, the current release doesn’t disappoint. Made up of 84% Zin and 16% Petite Syrah, it’s a deep purple-ruby with pronounced briar fruit and spicy blueberry in the nose, along with hints of sage and underbrush. Bright, smooth and persistent on the palate, blueberry and dark cherry flavors resonate, complimented by some herbal, vanilla and allspice notes, finishing long. Overly alcoholic “monster” Zins can be a problem, but this one clocks in well under 15% ABV, and has good structure, too. 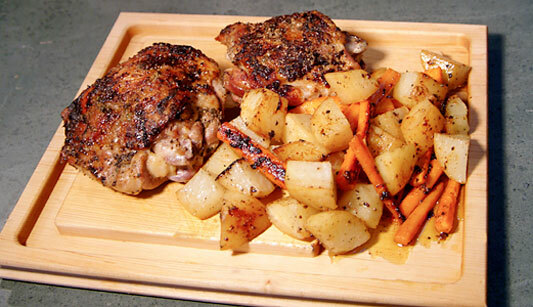 I matched this 2011 Heritage Vines Zinfandel with simple but delicious roasted Tuscan turkey thighs (thanks Mark Bittman) to great success; the fresh garden-grown sage used in our turkey rub jibed beautifully with the Zin, making it a wonderful potential partner for Turkey-themed holiday meals. Switching gears…and beverages, I’m not a big fan of the multitudes of seasonal beers that proliferate in the form of “winter warmers” and holiday- inspired beers this time of year. While I’m all for creativity and choice, particularly from craft brewers, too often these special winter releases are overly spiced (e.g. nutmeg abuse), out-of-balance and tiring to drink. Cloying. Ham-fisted. 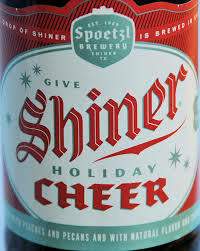 So, I had my doubts recently when Amy, a bartender at Manchester Pub, my go-to neighborhood bar in Manhattan (where they have an excellent craft beer selection), urged me to try Shiner’s “Holiday Cheer” from tap. Shiner is an estimable brand of the independent Texas brewery, Spoetzl, which is distributed nationally, and best known for its very good Shiner Bock. One sip washed away any reservations I had. This was clearly one of the most drinkable holiday beers ever. Full of zest, subtle spice and a pleasant overall fruitiness (without being sweet), I was impressed, liking it even more than Shiner Bock. Turns out, there’s a lot going on in the “Holiday Cheer”: it’s a Dunkelweizen (a dark wheat ale), brewed with various caramelized malts and…drum roll please…Texas peaches and pecans! Sounds strange, but it works beautifully, nicely fruity, slightly nutty, finishing light and clean on the palate — totally sessionable. This is one winter seasonal I would like to see available year-round. This entry was posted in At Our Farmhouse, Beer + Cider, New York City, Wine, Wine + Food and tagged 2011 Dry Creek Vineyard Heritage Vines Zinfandel, Dry Creek Vineyard, Manchester Pub NYC, Old vine Zinfandel, Shiner Holiday Cheer, Spoetzl Brewery, ZAP, Zinfandel. Bookmark the permalink.